"Amazing reading entertainment about a global disaster that's only a manmade mistake away from actually occurring." From the corn fields of Wisconsin as a youth, James Tesar worked his way to earning a medical degree. After receiving his undergraduate degree in Biology and Chemistry from the University of Wisconsin—La Crosse, he headed south to St. Louis University, where he completed a Nuclear Medicine Technology program. That, as a stepping stone, led him into a Master’s Degree program at Purdue University, where he became a Boilermaker and received his Master’s Degree in Bionuclear Physics. From there, it was back west to the University of Wisconsin—Madison. As a Badger, Doctor Tesar worked on his Ph.D. in Membrane Physiology, following radioactive chloride atoms around the tubular system of kidneys. 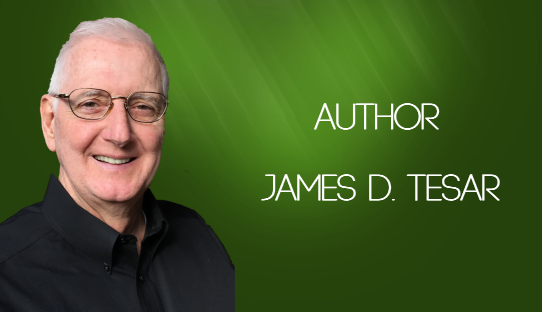 To James, it was phenomenal research, but not as self-satisfying as clinical medicine, so he continued on to medical school and received his M.D. degree. Getting an M.D. degree was not the end, but rather just the beginning. Not being able to practice clinical medicine without an Internship and Residency, Dr. Tesar headed south to Pensacola, Florida where he completed a Surgical Internship. Still not quit done, he headed north to New York/New Jersey where he completed a residency in Emergency Medicine in one of Columbia University’s affiliated programs. By this time, he was thirty-six years old and had never really had a real job. So, it was time to actually get one. At the time, Orlando Regional Medical Center, in Orlando, Florida, was starting a residency program in Emergency Medicine, and they were looking for clinical instructors. Doctor Tesar has lived and worked there ever since.